Composer Jean Sibelius (1865-1957) and artist Akseli Gallen-Kallela (1865-1931) are major figures in the history of the Finnish arts and both created works inspired by the Kalevala, the Finnish national epic. 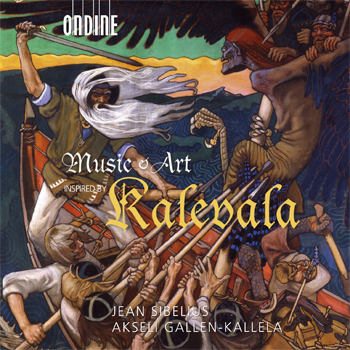 This disc features Kalevala-derived music by Sibelius and images of Gallen-Kallela's best-known paintings of scenes from the text. Finnish National Opera Chorus and Orchestra under Eri Klas (4-5).